Geolocation is the geographical origin identification of a person or object. IP addresses are frequently used in Analytics as a metric for Geolocation. As because most users uses a dynamic IP, proxy servers and NATs, the are clearly not ideal to be assigned to identify an use, but still it is the widely accepted way. Geolocation in this article is mainly elaborated for the usage of visitor identification method by I.P. which is widely used by various softwares on Internet. These the ISPs, universities and similar institutions has only one IP address. The owner of an IP is free to decide which network nodes it will be addressed. Although in principle the allocation can be changed quickly, it is usually rarely exercised, because of the resulting administrative burden. Geolocation goes one step further. Geolocation is the knowledge of where the Internet user is linked to rules based on the geographical origin of the Internet user. IP Intelligence extends the purely geographical point of view of the qualitative factors such as the connection speed or the identified ISP of the user. A cable operator can take the advantage of Geolocation and make the visitors pro-actively targeted with offers, without the visitors knowing this information. Most online advertising companies offer their customers Ads to be displayed based on the geolocation (Ad Targeting). Visitors see ads according to their current location as a target market. Web metrics providers integrate Geolocation into their products to allow a geographical analysis. 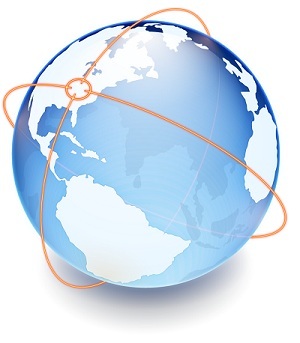 The website owners can see from which countries and regions of the visitors are visiting. PayPal uses Geolocation to protect against fraud, to make online payments to oversee regional discrepancies and excludes transactions based on country level rules. Google and many others to personalize their offerings by the user to automatically in the user’s language using Geolocation. Content distribution networks optimize load balancing using Geolocation. The quality of Geolocation is described by the data integrity, data accuracy, efficiency and integration effort. Accuracy indicates how well the Geolocation technology can detect a single IP address and its attribute. Performance indicates how many requests per second per server can the system afford for the procedure of Geolocation identification. This Article Has Been Shared 5228 Times! Cite this article as: Abhishek Ghosh, "Geolocation Basics," in The Customize Windows, July 21, 2012, April 18, 2019, https://thecustomizewindows.com/2012/07/geolocation-basics/.